In May 2016, the U.S. government passed a new regulation regarding the beneficial ownership of legal entity customers. Beginning May 11, 2018, it will be mandatory for all financial institutions to comply with this regulation by identifying the ultimate beneficial owner(s) and a controlling person of a legal entity customer opening or maintaining an account. In compliance with this new regulation, PrinsBank will collect beneficial ownership information from legal entity customers starting on May 11, 2018. This means that any time an account is opened or maintained for a legal entity, we will request information that identifies the ultimate beneficial owner(s) and controlling person of the legal entity. This information will need to be collected whether or not the person identified is a PrinsBank customer. This information will also be collected for existing legal entity customers who establish new or maintain accounts at PrinsBank. While we understand the information requested is personal and sensitive, we need to obtain this information in order to comply with the law. As always, we will treat all information collected with the utmost care. All information will be stored securely and handled with the same standard of privacy that we have always maintained. The regulation affects all legal entities opening or maintaining accounts at any financial institution. 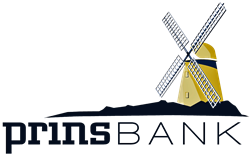 PrinsBank will collect information regarding the ultimate beneficial owner(s) and control person of legal entities whether or not they have a personal relationship with the bank.